Capcom’s Dead Rising series has cemented itself as one of the go-to zombie games where you can kick back and enjoy killing the un-dead in the most varied ways possible. It has always been somewhat tongue-in-cheek since its conception back on the Xbox 360 some 10 years ago and now seems to have transformed into a more comical and outlandish free-roaming brawler than ever. 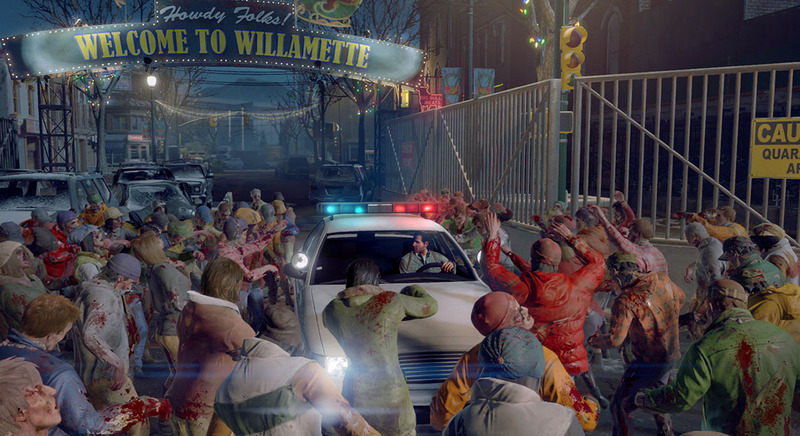 Cue Dead Rising 4 with lead protagonist and hero from the first game, photo-journalist Frank West and a return to the Willamette shopping mall where the original zombie outbreak occurred. However events and gameplay is somewhat different this time to perhaps cater to a wider audience. In a nutshell, as the wise-cracking and tough as nails Frank character you’re able to wander around the mall and surrounding city at leisure whilst solving an underlying story as any self-respecting journalist would by poking their nose into places where it’s not wanted – all for the greater good mind. Whilst the story ties everything together creating a sense of purpose, the game is rather more free-form than previous iterations. It’s quite similar, in fact almost identical in design to Dead Rising 3 except there’s no mission timer or survivors to think about which might upset fans. Whilst there’s still plenty of NPCs to rescue you’ll spend most of your time playing the solitary hero and unable to work in groups as you could do in the previous games. The survival element seems to be toned down quite a lot with an abundance of food stuffs and weapons littering every turn making for game quite low on challenge as a result. The boss characters who were always fun to fight make a return, but even these seem to be less impacting and rather tame. In a nutshell, Frank is pretty much over-powered from the start, and with the ability to create a wealth of combo weapons or vehicles from blueprints without any menu aggro and you’ve got one hell of a simplified game here. There’s some new additions to the core gameplay with the inclusion of some basic and often broken stealth play, mechanical Exo suits which make Frank even more powered-up, and to counter, some new zombie types are thrown into the mix. Whilst the new additions are welcome they are still zombies who will either jump at you, dodge or be far more nimble than the regular un-dead. More random human enemy encounters are also tossed in for good measure to break up the monotony of killing the same enemies over and over. Frank’s trusty camera plays a bigger role this time as well and not only to take snaps of events happening around him but also to solve mysteries. Thanks to his female pupil Vick, the camera now has three vision modes which include night vision and a Spectrum Analyser. You’re required to search various interior locations for clues and snap them. 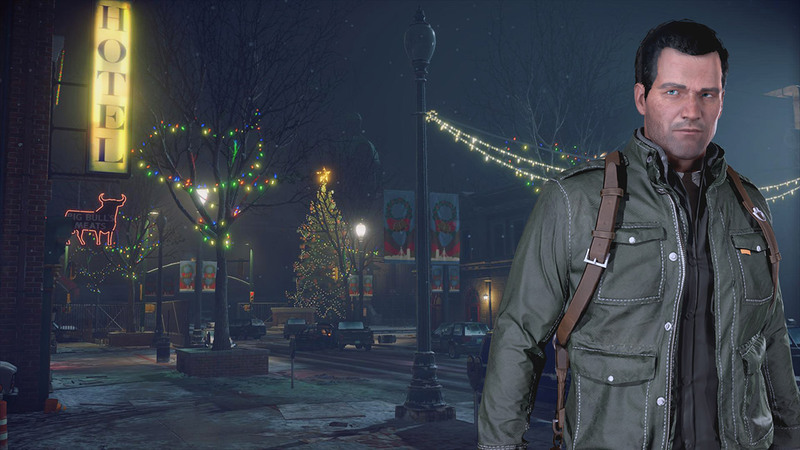 Dead Rising 4 has become a little mindless as a result of such tinkering, not to say it wasn’t before but with no urgency this time there’s very much a holiday like leisurely vibe to the game. You’re effectively free to explore at your own pace after the opening hour or so and can spend countless hours hunting down collectibles to aid your killing or levelling up. 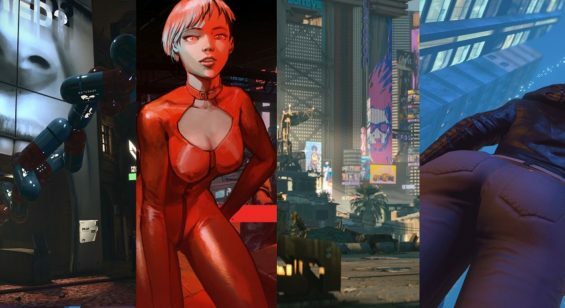 There’s really not much more to the gameplay other than running (or driving), avoiding or attacking swarms of zombies with melee or ranged weapons and performing set numbers of kills to drive the story progression. The good thing is, if this is all you’re after then it works very well and is completely accessible to any bloodthirsty zombie killing players. 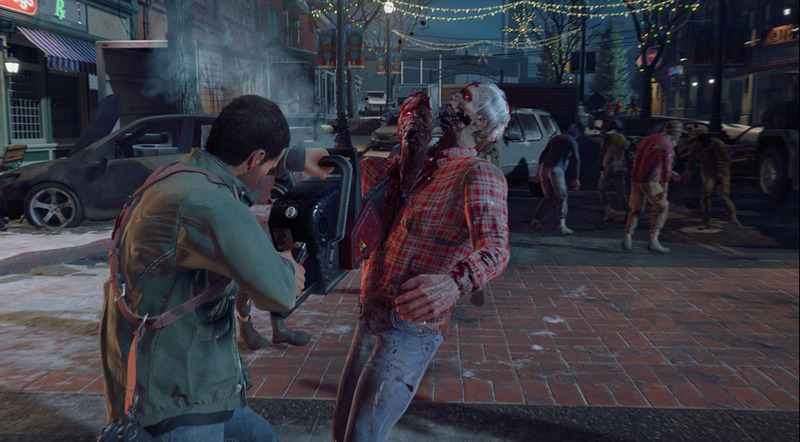 Visually Dead Rising 4 looks pleasant enough with its holiday season/xmas themes and also manages to maintain a steady 30 frames per second even when there’s masses of zombies filling the screen. That said, the finer details seem to have taken a hit from the last game with character models and general texture detail appearing more basic looking. Audio has some catchy Xmas themed jazz tunes to tap your feet to alongside a number of other sound effects and radio when jumping in various vehicles which is a neat touch. The voice acting is solid but Frank’s character has been given an overhaul and isn’t as “goofy” as his original incarnation which is a shame. 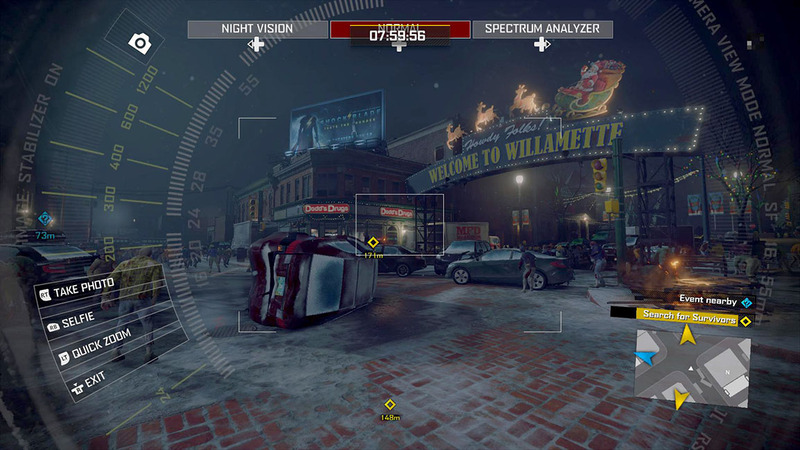 Players can sink plenty of hours hunting down collectibles undertaking side-missions and upgrading Frank’s abilities as the playground is there to be explored outside of any story objectives. In this regard you’ll get over 10 hours and beyond to complete the story in a somewhat leisurely fashion. 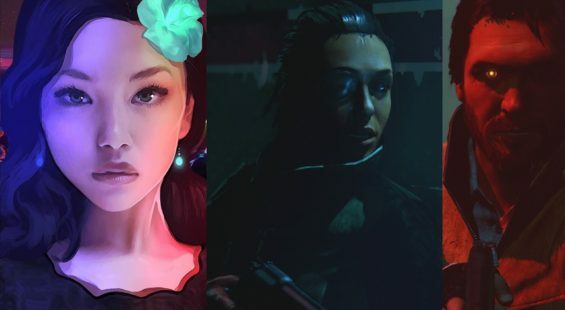 Beyond the single player story and new game plus option once you’ve beat the game there’s co-op multiplayer using secondary characters to mess around with across four new cases which involve team based survival elements – and of course more killing of the undead. So there’s certainly plenty to do in this game even if it’s somewhat repetitive. 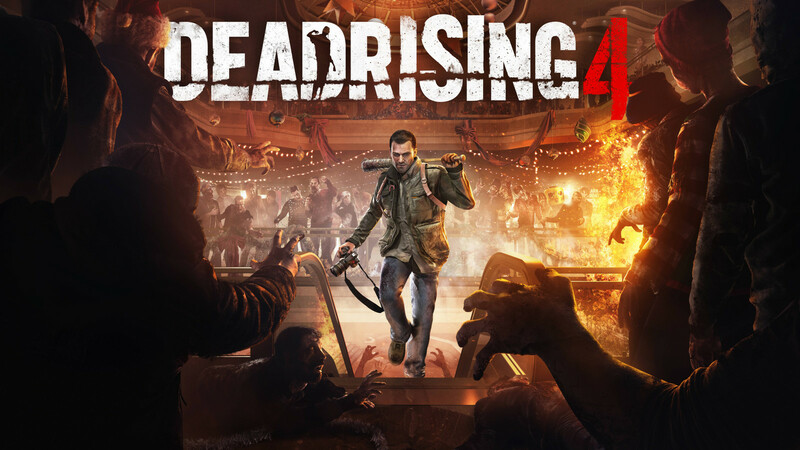 Dead Rising 4 comes as a slightly hot and cold entry into the series and because of its similarity to the previous game can’t be fully recommended beyond loyal fans. Whilst there’s nothing overtly wrong with the game per-se aside from the odd glitch here and there. The repetitive play and hand holding adjustments make for an almost by-the-numbers entry which doesn’t progress but more like regresses the franchise. Ultimately it’s still a fun game but with a tired uninspiring story, lots of in-jokes and an endless number of zombies to kill at leisure presents a series that’s perhaps in need of some fresh ideas because any more of the same and it’s perhaps going to become stale.